Savor the guilt-free crunch of fresh sea salt sprinkled over baked chip goodness. 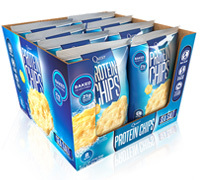 This crispy classic has 21g of healthy protein and only 5g total carbs... so go ahead and eat the whole bag! Savor the guilt-free crunch of fresh sea salt sprinkled over baked chip goodness! 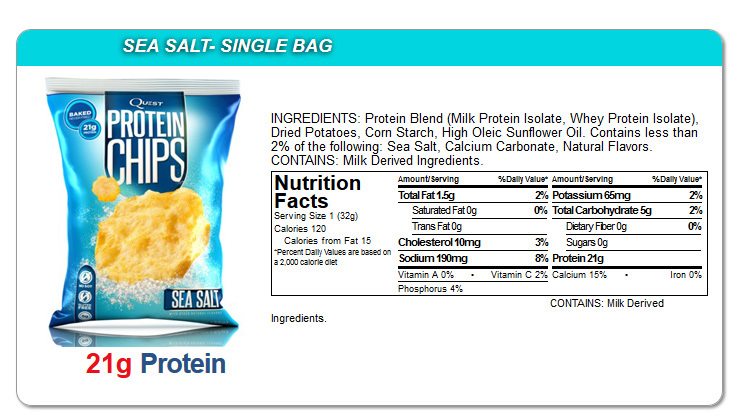 Every flavorful bag has 21 grams of high quality protein and only 5g total carbs per bag. Zero rice, zero soy.